A teenager has been turned away from a Texas high school on registration day because her mother's t-shirt dress and head scarf didn't meet the dress code. The teen's mother, Joselyn Lewis, claims she was refused entry at Madison High School in Houston on Monday when she went to enroll her 15-year-old daughter. Lewis said administrators told her that her dress was too short and her head scarf wasn't up to dress code. The mother told KPRC that she initially thought the school administrator had mistaken her for a student. 'She went on to say that she still couldn't let me on the premises because I was not in dress code and I still didn't understand what that meant,' Lewis said. Lewis said she was trying to register her daughter at the school after un-enrolling her earlier that day from Lamar High School due to bullying. 'When I went to Lamar, I had no problems, but when I got to Madison High School, they refused me access to the premises because of what I had on,' Lewis said. 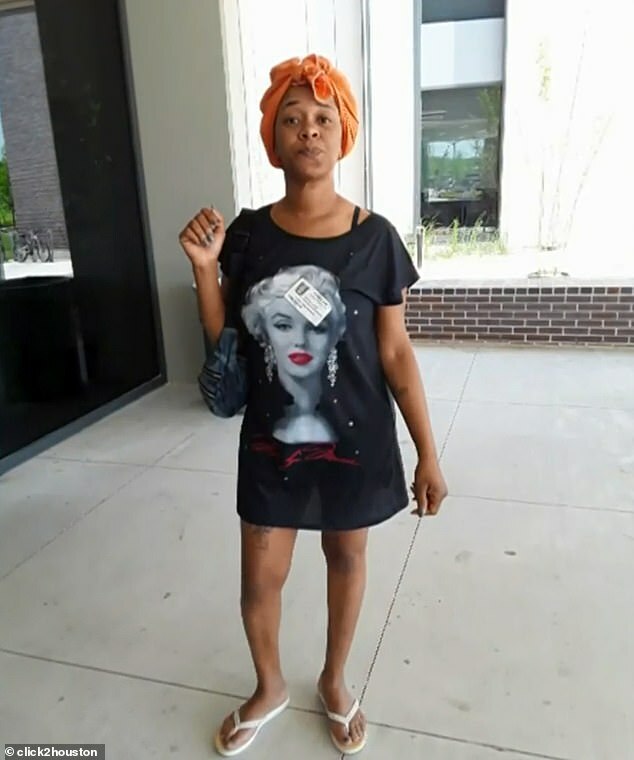 The mother said she was wearing the head scarf because she was about to get her hair done and her dress wasn't shorter than her fingertips when her arms were by her side. When she refused to leave, staff called police to ask her to get off the school grounds. Lewis said she struggled to understand what was wrong with her outfit. 'I can wear what I want to wear. I don't have to get all dolled up to enroll her to school,' Lewis said. Lewis vowed to wear different clothes when she went back the following day to register her daughter. The school hasn't publicly commented about Lewis' claims. There is no dress code listed on the school's website for parents.